The Powersport-diag Store accepts a variety of payment methods. - If your card is new or recently reissued, make sure it has been activated. 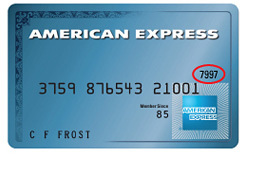 - Double check the card type (for example, American Express), the account number and expiration date. - Remove dashes or spaces from the account number. 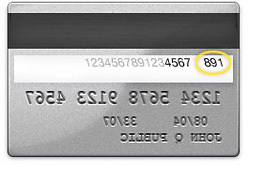 The card security code is a unique three or four digit number printed on the front (American Express) or back (Discover/MasterCard/Visa) of your card, in addition to the account number. Most debit and check cards have daily spending limits that may substantially delay the processing of an order, even if there is enough money in an account. When using a debit card, funds are immediately reserved in your bank account at the time you place your order. Please consult your card-issuing bank for information about your daily spending limits if you are having trouble placing your order. When you place your order, your card will be authorized, and you will receive an email confirming that your order has been successful. We will not charge your card until we process your order and ship it from our warehouse. If your card is not authorized, no charge will appear, and you will be notified immediately on the screen that the payment was unsuccessful. You will be asked to provide another method of payment.